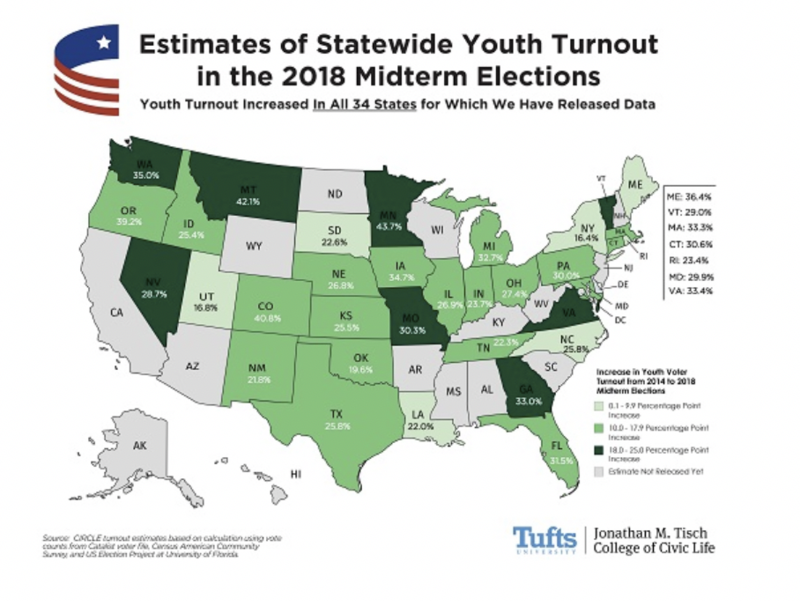 According to two new analyses from the Center for Information and Research on Civic Learning & Engagement, 2018 youth voter turnout (voters ages 18-29) increased by a bigger percentage than the overall increase in turnout in 27 of the 34 states for which data is available. The states where the increase in turnout among younger voters was above the level for all voters were Colorado, Connecticut, Florida, Georgia, Idaho, Illinois, Iowa, Kansas, Louisiana, Maine, Maryland, Massachusetts, Michigan, Minnesota, Montana, Nebraska, Nevada, New York, North Carolina, Ohio, Oregon, Pennsylvania, Rhode Island, South Dakota, Vermont, Virginia and Washington State. By comparison, while turnout among 18-to-29 year olds increased in Indiana, Missouri, New Mexico, Oklahoma, Tennessee and Texas, it was by less than the overall increase in turnout. The data for Utah is inconclusive for technical reasons. 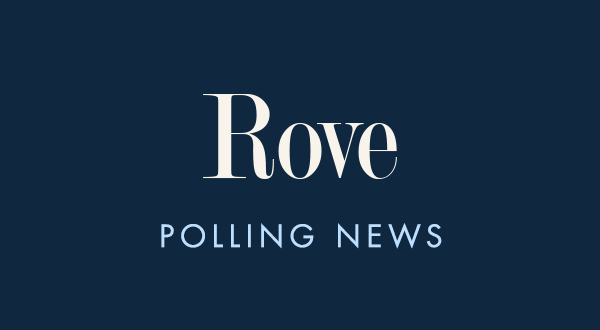 The increase in younger voters likely made an impact in states with top tier 2018 races like Florida, Georgia, Ohio, Pennsylvania, Michigan, Missouri, Nevada and Texas. Both the polarized national mood and high-profile statewide contests may have also caused many more young voters to become engaged and show up at the polls. Looking forward, if this trend continues and 18-29 year old voters show up in larger numbers in 2020, they could deeply affect the presidential race as well as some Senate and House contests. Normally, this voting bloc supports Democratic candidates. Republicans should make special efforts to appeal to Republican-leaning younger voters based on the issues they care about and through platforms they use the most.